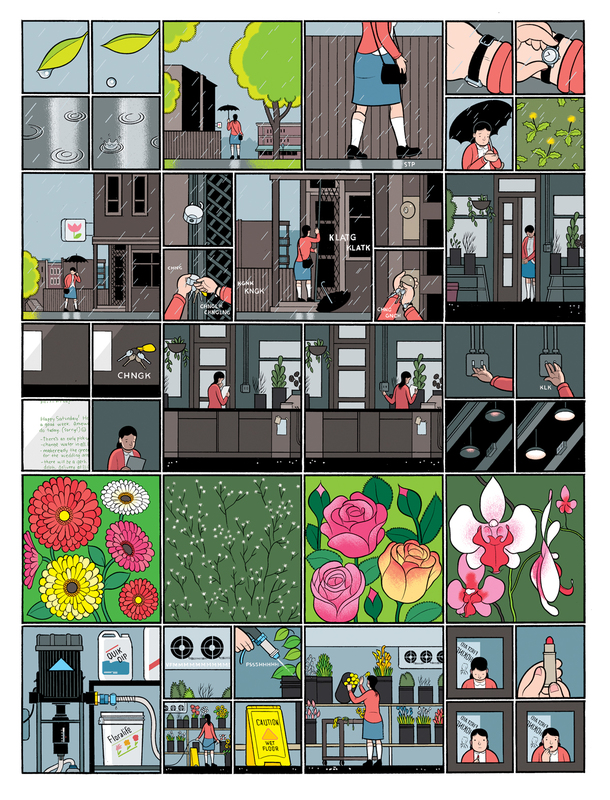 Building Stories the new graphic novel by Chris Ware, imagines the inhabitants of a three-story Chicago apartment building: a 30-something woman who has yet to find someone with whom to spend the rest of her life; a couple, possibly married, who wonder if they can bear each other’s company another minute; and the building’s landlady, an elderly woman who has lived alone for decades. Taking advantage of the absolute latest advances in wood pulp technology, Building Stories is a book with no deliberate beginning nor end, the scope, ambition, artistry and emotional prevarication beyond anything yet seen from this artist or in this medium, probably for good reason. Building Stories comes out in October. Published by Jonathan Cape.